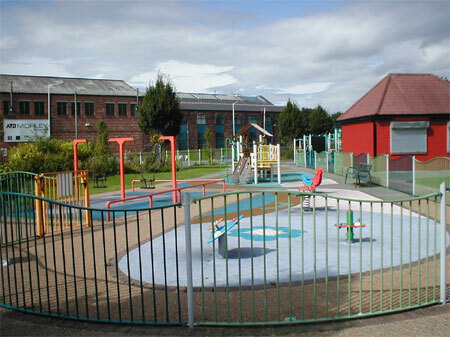 Shaw Heath Recreation Ground offers a range of facilities that few other small sites are able to. Overlooked by residential properties this haven of recreational opportunities is well worth a visit to witness the positive effect that an active community group can have on greenspace. The local community have worked with both Groundwork Trust and the Stockport Metropolitan Borough Council to revitalise the recreation ground into a bright and cheerful park. Although there is still work to be done at the site there is already in place a new play area - complete with decorative safety surfacing, a young peoples meeting point and a kick-about area. Currently the facilities on site include the Outdoor Gym, multi use games area, 5 a-side football pitch, junior and toddler play areas, community centre, community garden, Park pavilion currently used by Greater Manchester Fire and Rescue Authority as part of their Princes Trust Scheme, a chainsaw bench sculpture and many horticultural features. The park is fenced along its boundaries with the adjacent housing area and is well maintained and inspected on a regular basis.